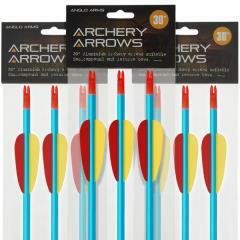 New range of Archery Bow and Arrows & Crossbows as well as replacement Arrows, Bolts and Archery Accessories ! 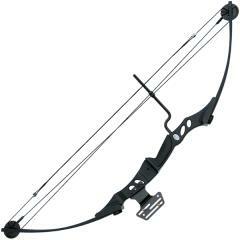 We now have a range of crossbows in diferent sizes to suit both adults and younger children along with arrows, finger tabs, arm gaurds and string release products as well as shooting targets. Always use an appropriate backstop for maximum safety. An appropriate backstop must be constructed of a durable material and must extend beyond the perimeter of the target. Recommended backstop size is determined by the accuracy and ability of the shooter, i.e., the lower the level of accuracy, the larger perimeter required. NEVER aim or draw the bow in the direction of a person. 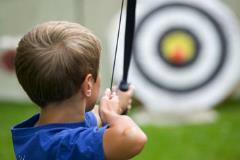 Aim and draw ONLY in the direction of an appropriate target. ALWAYS have a full view of the path to the target and beyond when shooting. NOTE: Lead-off shots should be taken at closer ranges until the shooter is more accurate and comfortable at longer distances. ALWAYS inspects arrow prior to shooting for imperfections such as cracks, splits or splinters. Damaged arrows must not be used and should be destroyed. NEVER dry-fire (shoot without an arrow) any bow. Doing so could damage the bow.